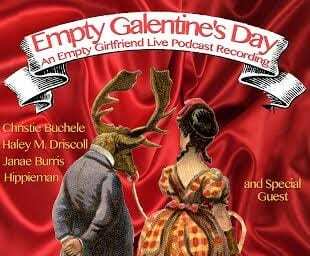 Here’s a Valentine’s Weekend event that is going to be fun no matter what your Current Relationship Status: Christie Buchle and Hayley Driscoll of Empty Girlfriend are having a GALentine’s Day Party! They are going to be taping a live Empty Girlfriend Podcast on love and life, with live music and help from their friends, like Denver comedians Hippieman (Late Late Show with Craig Ferguson, Comedy Works Headliner), Jenae Burris (LA, Buddy Buddy! ), and SPECIAL GUEST Adam Cayton-Holland. PLUS Denver Marriage Counselor and Relationship Coach Megan Terry, M.A. of Growing Self Counseling and Life Coaching will be there with real relationship tips and expert relationship advice! It’s going to be a great time, with a raffle, prizes, giveaways and more. The event is FREE, and any optional donations will go to The Gathering Place, Denver’s only daytime drop-in center for women and children experiencing poverty or homelessness. So bring a date, bring your friends, or just go and see what happens — it’s going to be a good time! The event starts at 7pm at The Savoy in Curtis Park — 2700 Arapahoe St, Denver, Colorado 80205 (Doors open at 6).